Campingplass Château des Tilleuls er en campingplass i Port-le-Grand, Somme. Denne terrassecampingplassen og campingplassen med skrånende terreng har steder med avgrensning og plasser med noe skygge. Det er mulig å leie stasjonære campingvogner, vandrerhytter, Studioer, leiligheter og hytter. Campingplassen har idrettsplass. Denne inspektøren besøker hvert år Campingplass Château des Tilleuls og inspiserer campingplassen for ca. 200 fasiliteter og for andre punkt som forekommer. Inspektøren er en medarbeider fra ACSI og arbeider ikke for campingplassen. Gjesten likte - Ideal place and well positioned site for an over night stay en route from Vendee to Calais. Easy to find, only a short distance form motorway. Gjesten likte - Reception and staff first class, very secure, great location for quick stop off on route back to the tunnel. Gjesten likte - It would useful to be made aware of needing the key fob for showers, and the hill to climb to your pitch. Gjesten likte ikke - We ordered a goats cheese pizza and chicken wings. Both were under cooked. When I explained to the young girl who was very helpful, the young guy who was cooking... stood next to us in his chef jacket, smoking a cigarette and said ‘sorry, do you want a coffee?’ I would see this as acceptable as I was a chef myself. The food would would have been lovely in not raw in the middle. Vil du booke campingplassen Campingplass Château des Tilleuls eller få mer informasjon? Det går bra med opplysningene nedenfor eller via campingplassens nettsted. 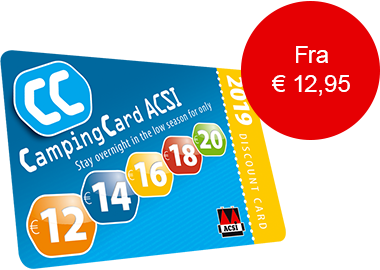 ACSI Eurocampings sender din forespørsel til "Campingplass Château des Tilleuls".